Relish the memory. : Crazy for Coconuts. It’s no secret – the "Coconut" is a born again food hero and current obsession in the health and general foodie world. I must admit my own respect and affinity for the power of this tropical nut have definitely inflated over the last year. It’s versatility; textural variety, taste and wholesome goodness tick all the boxes for me. So you could say that lately I have been going a little coco-NUTS. My most recent sweet-treat coconut adventure was found in the trusty ‘Ripe Recipes’ cookbook. Anticipating the arrival of two dear friends from the cold depths of Dunedin. 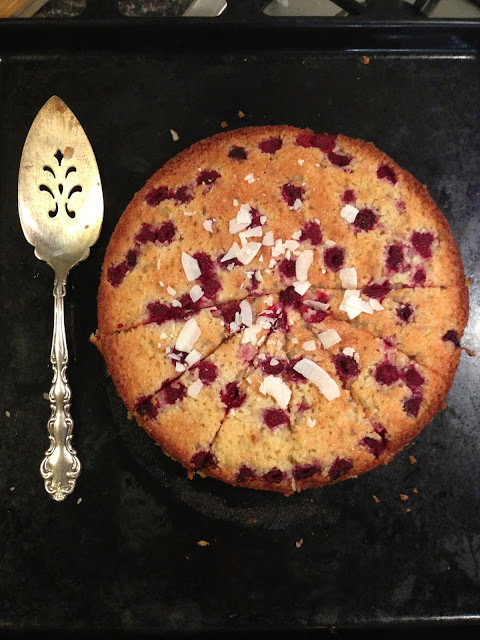 I whipped together the Coconut and Raspberry Slice – tweaking it a little by adding vanilla extract and baking it in a cake tin. 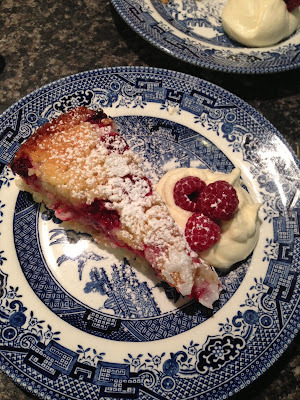 Made with egg whites, icing sugar, packed full of coconut and dotted with raspberries. It’s chewy texture and balance of flavour were quite something. Needless to say it went down a treat! Slice of Heaven w. Cream & Raspberries. As an avid fan of the beautiful Petite Kitchen blog. I have a wee addiction with her Lemon and Coconut Truffles. These things are not only raw, but free of gluten, dairy, sugar and all things naughty. Instead they are loaded with the good stuff including coconut oil, lemon juice and zest, ground almonds, honey, sea salt, vanilla and of course shredded or desiccated coconut. After playing around with a few variations (including feijoa and lime below), I have found adding a few sprigs of fresh thyme to the lemon mix makes a winning combo. Fresh herbs have this undeniable way of adding depth and interest to any dish, so I try to find ways to get them in my food whenever possible. Carrot, Cashew, Coconut & Coriander or the 4 C’s Salad - is a refreshing and delicious bowl of goodness. Vibrant, simple and quick to whip together. A good grind of salt and pepper, a drizzle of olive oil and you are away laughing. This coconut-carrot salad combination can be enjoyed with varying accompaniments. I like to add poppy seeds, raisins, chopped parsley and a few toasted sunflower or pumpkin seeds. Another brilliant use of coconut has been as a replacement for breadcrumbs on meat or vegetables. They incorporate a beautiful tropical zing and crunchy texture to whatever you choose to crumb. My favourite fish-coconut combination to date was devoured several months ago at the Seaside Café in Maketu, Bay of Plenty. Known as ‘Tropical Fish of the Day’, it was a simple fillet of fresh gurnard dipped in a coconut crumb and flash-fried to perfection. Served atop a melon, cucumber and tomato salsa and finished with raspberry viniagrette, it was all things a summer fish dish should be, and more! Having never heard of Coconut butter before, I simply had to give it a try– another act inspired by Petite Kitchen. Basically you just have to blend the crap out of shredded coconut, wait til it heats up, releases its heavenly oils and turns to a thick buttery consistency. Patience and a hearty powered blender are required for this one. Much to her dismay I used my mothers machine, and she was adamant I was going to break the thing. But I can assure you nothing was harmed in the making of my lovely jar of coconut butter. It’s a perfect variation to butter if you are dairy free or just like a change – but to be honest mine didn’t get much further than a spoon and my mouth, and didn't last longer than a few days. WARNING: Rationing these delicious treats is a tough ask. But worth the risk. 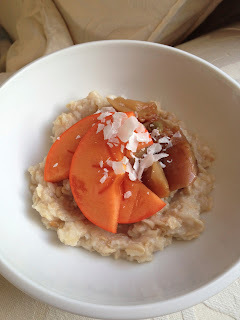 Persimmon Porridge w. Coconut Sprinkles. 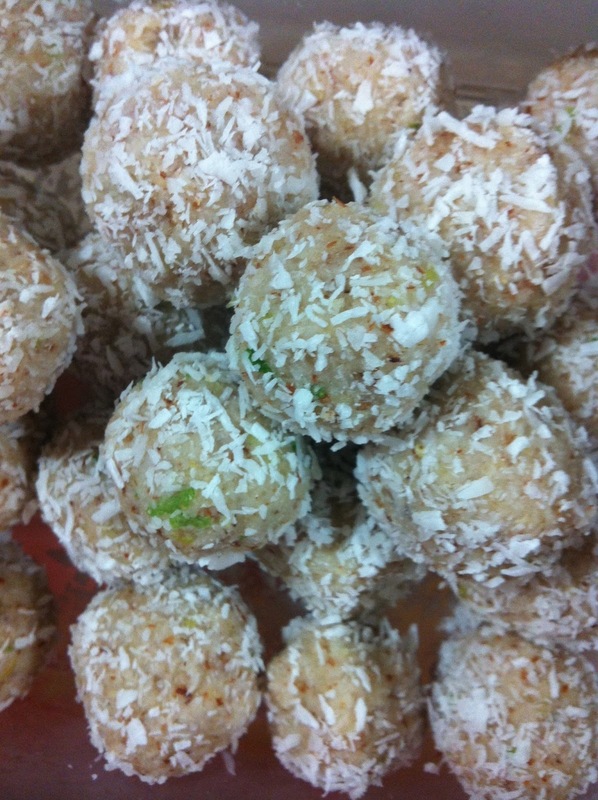 Note: To spot more coconut-laden dishes, follow Relishthememory on Instagram.